The National Center for Interstate Compacts Database is a great place to start if you need to research interstate compacts. An interstate compact is an agreement between two or more states. Those agreements which would increase the power of states at the expense of the federal government require approval of Congress. The site has more than 1,500 associated state statutes you can search through. 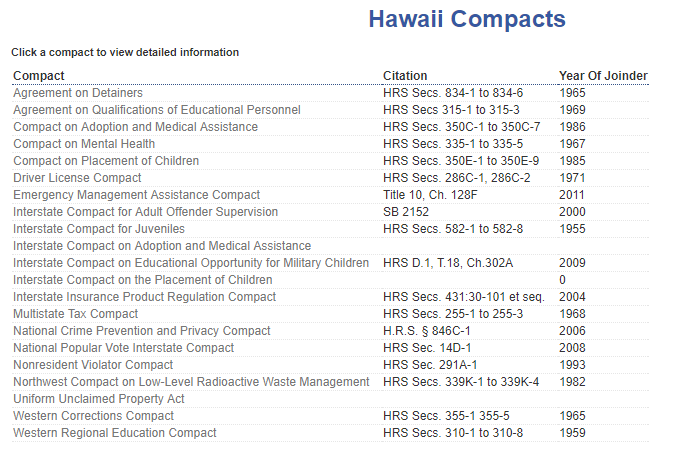 For example, Hawaii is a signatory of the Western Regional Education Compact. We joined in 1959 and you can look up the statute under HRS Secs. 310-1 to 310-8 (a caveat on this cite: HRS §310 was repealed in 2006. 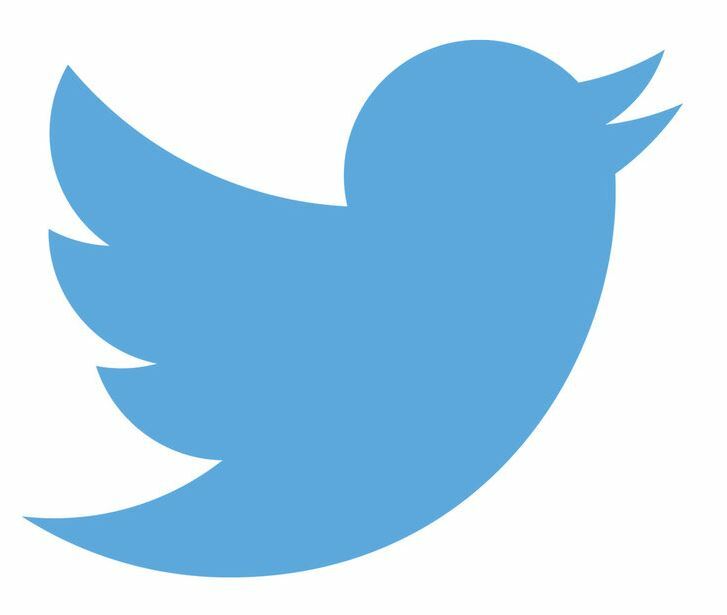 It points you to §§304A-3201 to 3208). 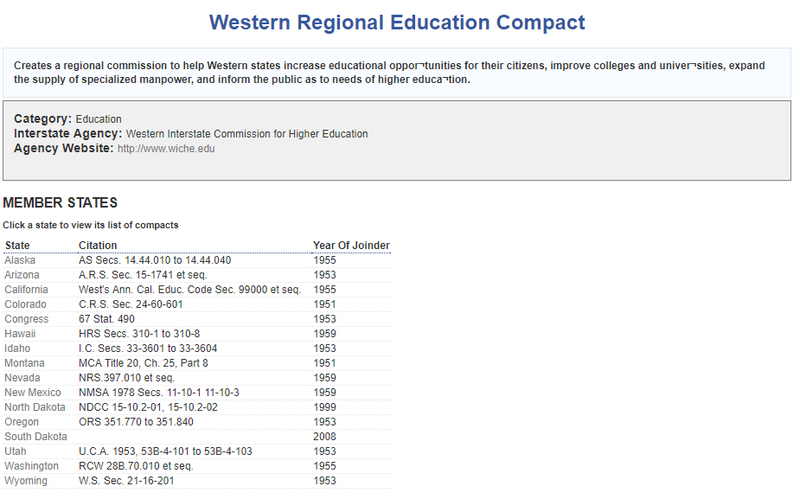 The site indicates the compact “creates a regional commission to help Western states increase educational opportunities for their citizens, improve colleges and universities, expand the supply of specialized manpower, and inform the public as to needs of higher education.” There are 16 states involved in this compact and the agency website is www.wiche.edu.